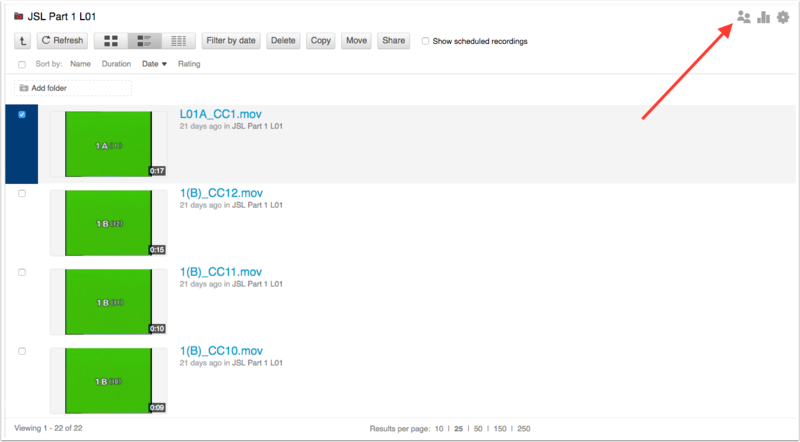 Canvas @ YaleInstructor Guides Media LibraryHow can I share a folder? Navigate in to the folder within Media Library and select the share icon in the upper right corner. Most folders are set to inherit the permissions set by their parent folder. If you wish to add people to the folder, click on "Who has access" and set it to "Specific people". This will retain the inherited permissions, but allow you to add users or groups. Under "invite people" type the name of the people or groups you wish to share the folder with. Select your users or groups from the returned options, then set their permission levels to "can view" if you only want them to view the contents or "can create" if you want them to be able to add content to the folder. Select "send and save changes" if you have selected to notify people via email about their access, or just "save changes" if you have not selected the notification option. Prev: How can I share a video? Next: How can I see other folders I have access to?